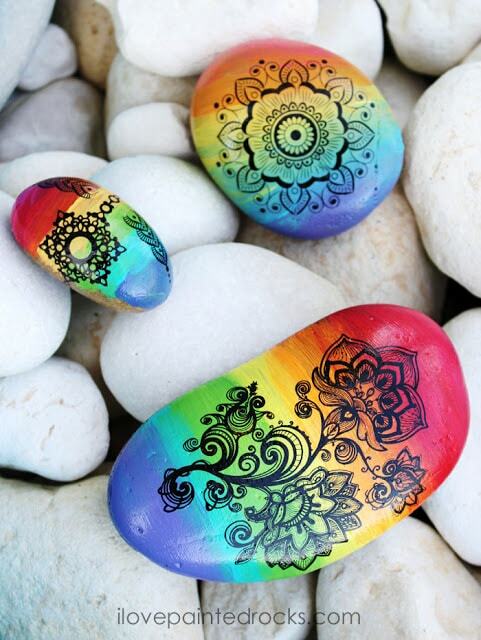 Even though these rainbow mandala rocks look impressive or difficult to paint, you'll be surprised to learn this is actually an easy to execute rock painting idea! 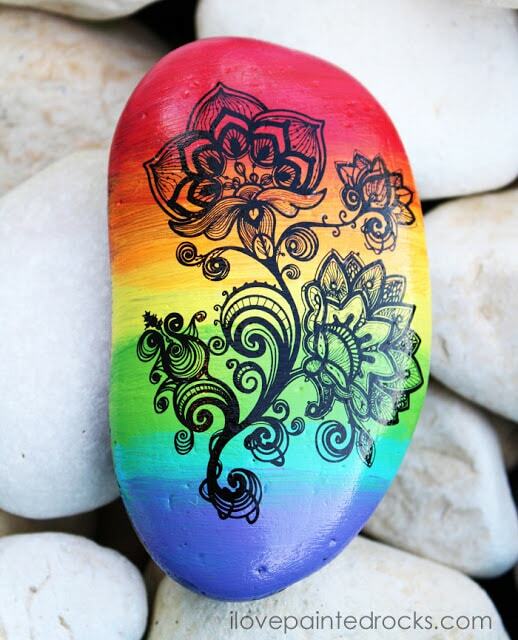 With a little help from some henna style temporary tattoos, even beginners can learn how to paint rocks that are easy yet impressive! Create a rainbow ombre base by painting rainbow stripes on your rock and then using a large brush drug over the top to blend them together. 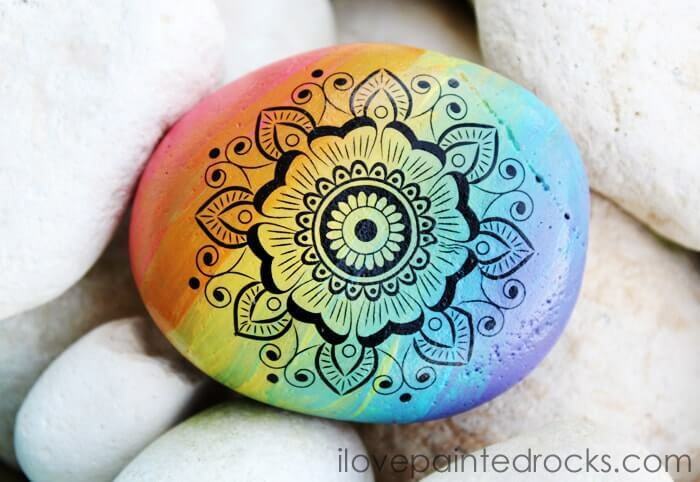 Applying temporary tattoos to rocks is one of my favorite tricks for getting impressive looking painted rocks with minimal effort! Basically, once your paint is dry, you peel the plastic protective layer off of the temporary tattoo and put it face down on your rock. Hold a damp sponge on the back for 30 seconds, until the paper starts to slide. Peel the backing away and smooth the design with the sponge. Allow it to dry completely and you're done! If you are going to place your rock outside, don't forget to seal it! This is the spray sealer I use most often on my rocks. I like to give it one coat, let it dry for 30 minutes and then give it another coat in case I missed any spots.